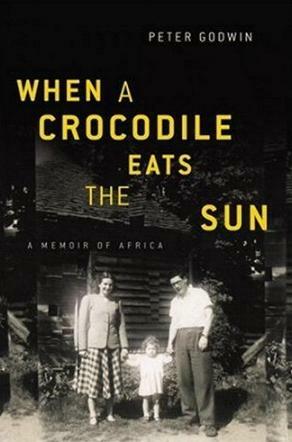 I was drawn to this book because as a child, I lived in Zambia (the country to the north of Zimbabwe) for nine years, and I was born in Africa. Africa is in my blood and a huge part of my being. This is the story of a Zimbabwean man at his father's deathbed in Harare. His eloquent style is easy to read and evokes memories of the sights and sounds and characteristics that are typically Africa. He paints a pretty picture despite the grimness of the subjects - ill parents, war, the decline of the Zim economy, etc. We also learn of his studying at Cambridge and Oxford in England and of the war to end white rule in his country. He tells why he left his homeland and became a journalist for the Sunday Times in London and then a TV documentary maker for the BBC. He "received death threats and was declared a foreign spy and an enemy of the state." War is brutal and not many people put pen to paper and vividly describe it. Godwin tells of the start of the AIDS situation in Zimbabwe and about his doctor-mother and her patients, the brutal death of his older sister, of the burgeoning civil war and the horrors that go along with unrest, the killing of white farmers, and the rapid decline of the country. Then he unexpectedly discovers a secret his father has kept his entire life and which sends the author out to discover more. Elucidating hardly begins to describe this fascinating story of the worry and guilt at being able to get out of a situation like this and of leaving your sick parents behind in a moribund and extremely dangerous country. Conclusion - A page-turner if ever I came cross one. Extremely interesting.